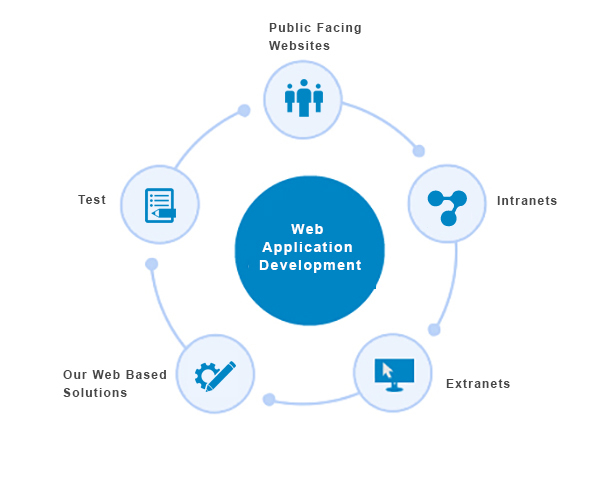 Primetech Software offers following easy to implement Intranet & Extranet Solutions which are customized in such a manner to accelerate your business & facilitates communication with your target group, customers and employees. Designing Dynamic & GOOGLE friendly website to ensure smooth searching in Search Engines. Allow Business Users to update and collaborate on Web Contents. Ensure brand and Web content consistency across multiple websites and in multiple languages. Deliver a targeted experience to visitors, providing information they care about while driving them to action which you desire. Consolidate multiple departments in environment. Dynamic & User Friendly Interfaces to personalize employee experiences and facilitate increased efficiency. Understand and harness the valued of content by delivering information it to right person at right time. Exchange large data using Electronic Data Interchange or XML. Integrate back-end systems and deliver content in an environment that enables success. Improving relationship with potential customers by giving them correct, precise and efficient information. Enable cross-sell and up-sell of products with a personalized experience for key customers and partners.